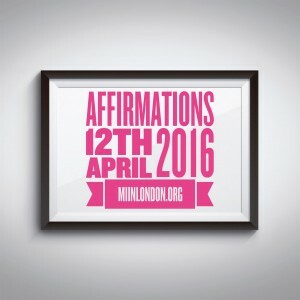 It’s here, on April 15th 2016 it’s time to affirm. We’ll be discussing the Affirmations in Motivational Interviewing. This entry was posted in Meeting Announcements, Motivational Interviewing London UK. Bookmark the permalink.